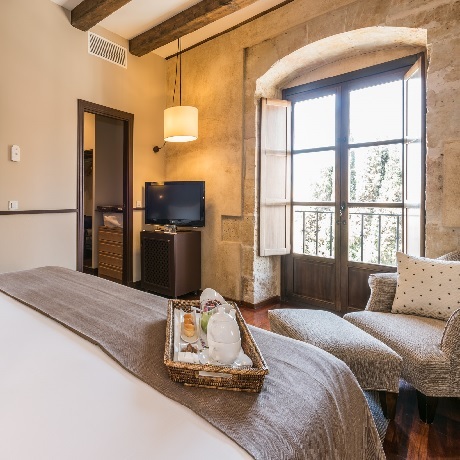 The hotel building used to be the old Dominican convent of San Esteban, located in the central square of Plaza del Concilio de Trento in the heart of Salamanca, with privileged views of the cathedrals. Its interior combines tradition and modernity and you can find traces of history in every single detail. 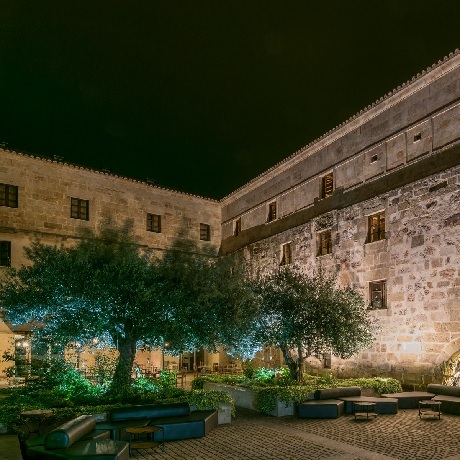 Traditional cuisine with contemporary preparations and presentations is what this excellent restaurant located in the centre of Salamanca has to offer. We also have a terrace open during summer months from where you can admire fantastic views of the cathedrals. 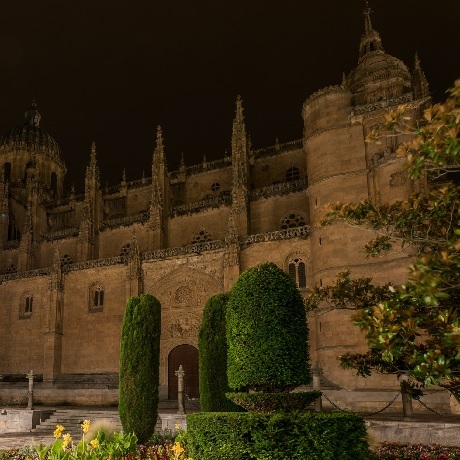 A summer proposal to enjoy our gastronomic selection al fresco, with views of the cathedrals.